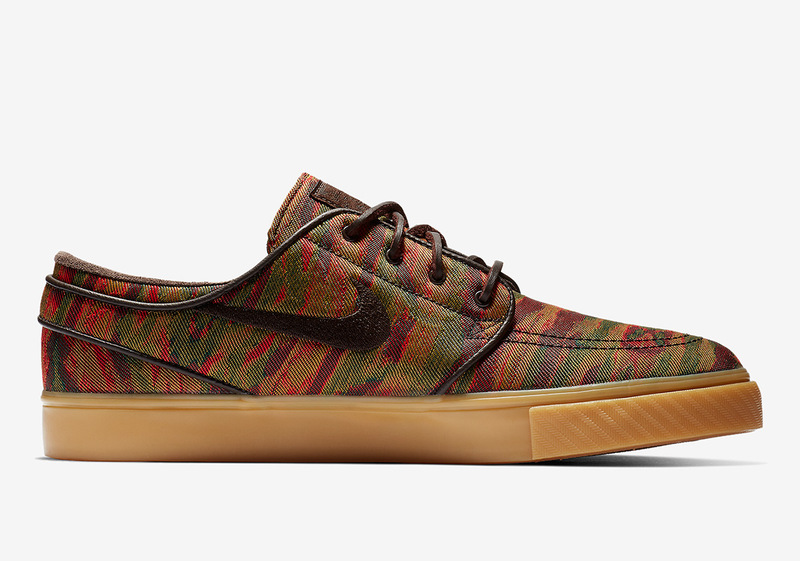 Originally engineered for riding rails and defying heights at the skate park, the SB Janoski silhouette has fully crossed over to the lifestyle circuit, revered for its canvas-ridden uppers, sleek construction, and endless color blocking capabilities. 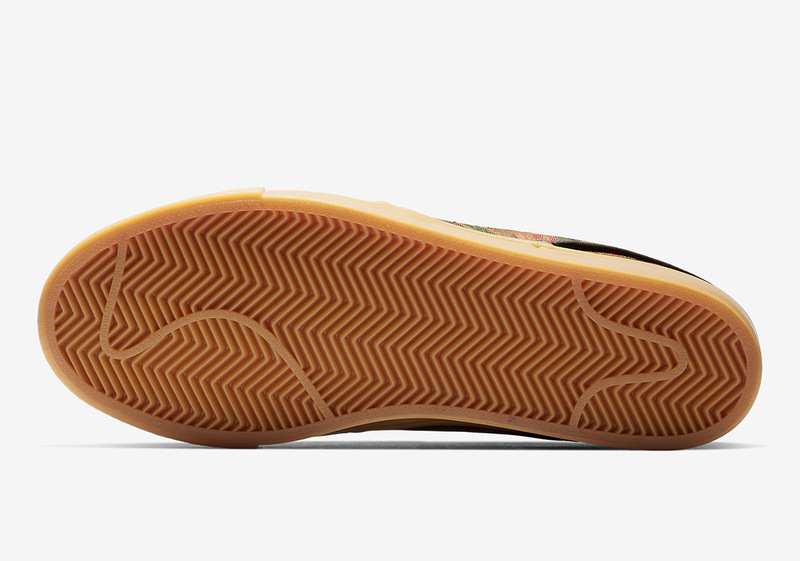 Serving as a blank canvas once again, the Swoosh is set to add an array of colorful paint streaks to its upper that includes browns, green, purples, and reds with a gum-colored base and a matching sole unit foe a classic Swoosh touch. 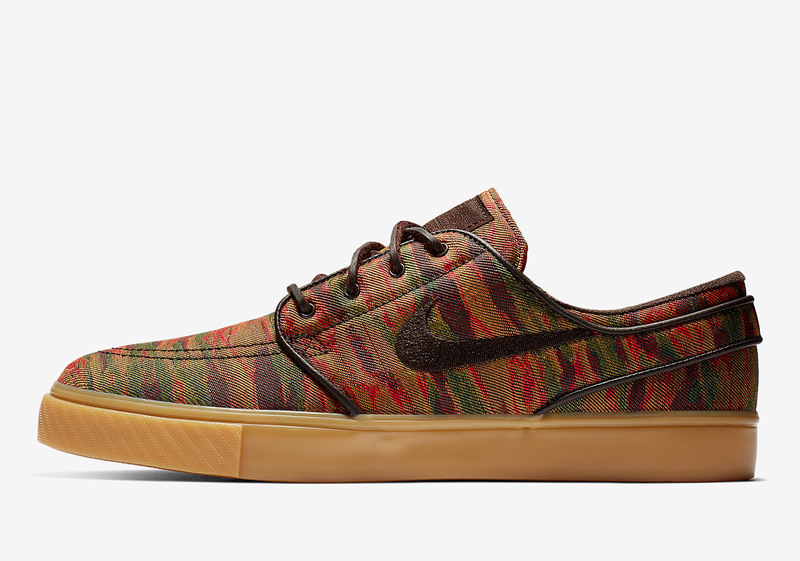 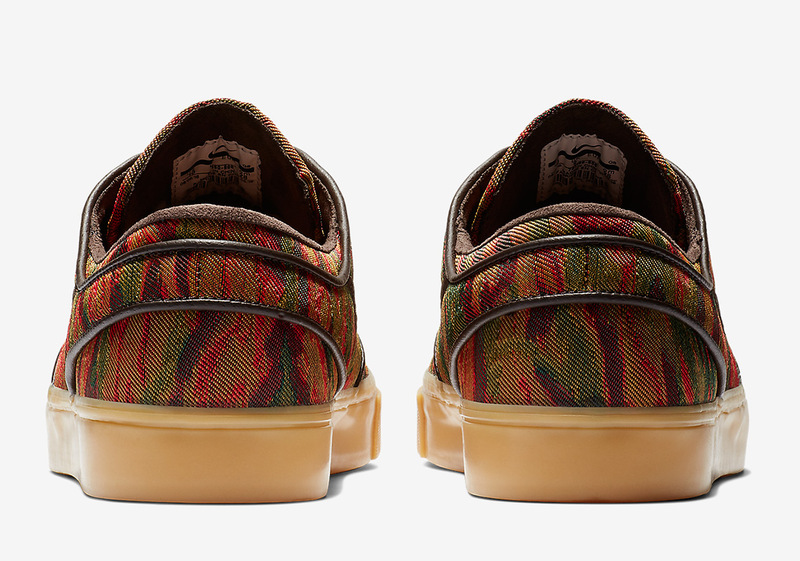 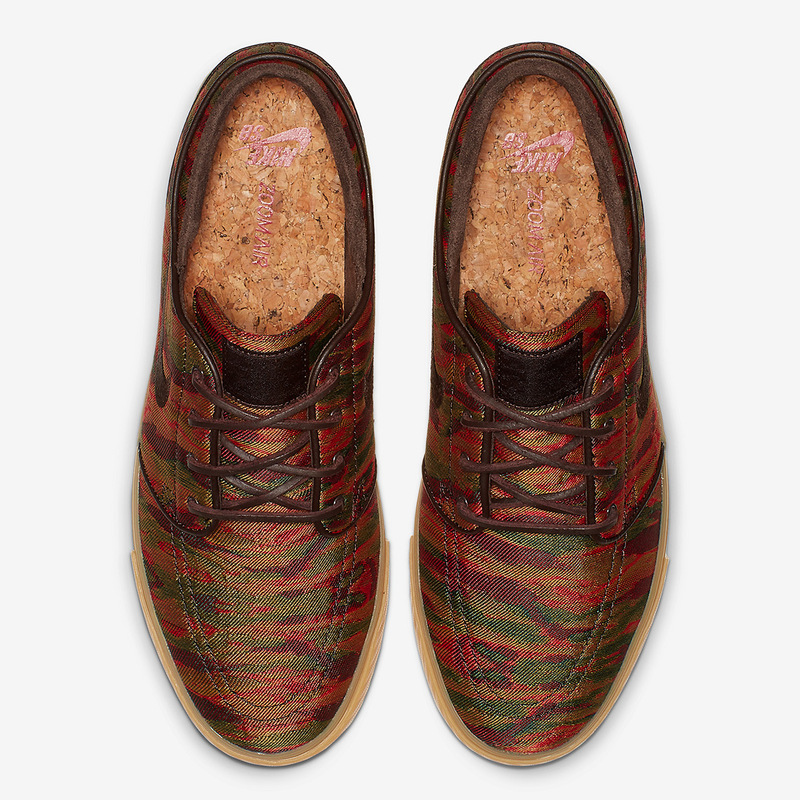 While not affiliated, this Janoski’s aesthetic resembles A Tribe Called Quest’s many tiger-striped album covers from Midnight Marauders to The Low End Theory, likely enticing a whole new crop of potential consumers. 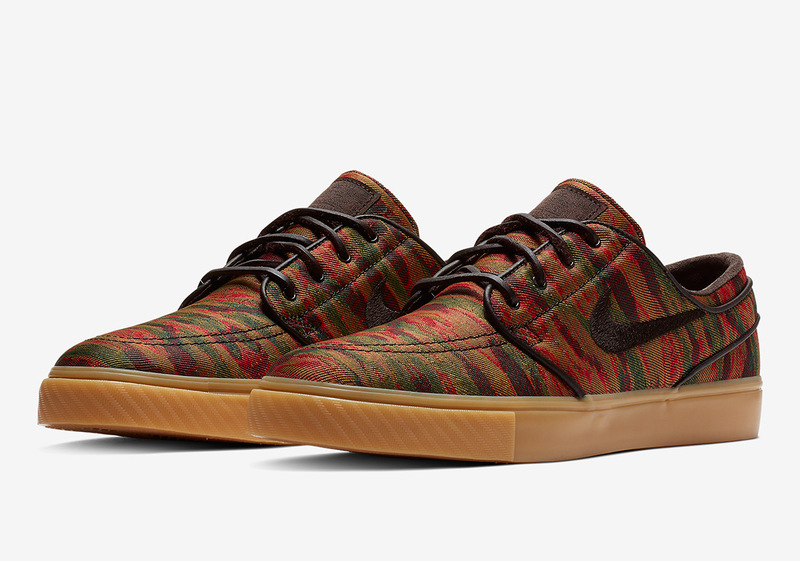 An official look at these wild Janoskis is available below, lending to a release sometime toward the end of this month or the beginning of next on Nike.com and at other SB houses.